Springtime in the Smoky Mountains starts with the wildflowers of late March and April, continues with the dogwood display in early April, and finishes with the Mountain Laurel in May. 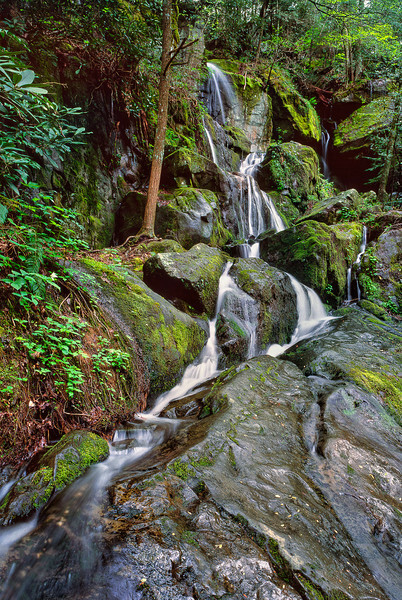 See my daily blog for more Smoky Mountains photos, and please stop in at the William Britten Gallery in Gatlinburg, TN. Place of 1000 Drips A waterfall along the Roaring Fork Motor trail just outside Gatlinburg in the Great Smoky Mountains National Park. This waterfall tends to dry up in summer and fall. Lots more Smoky Mountains Photos and info over on my blog.